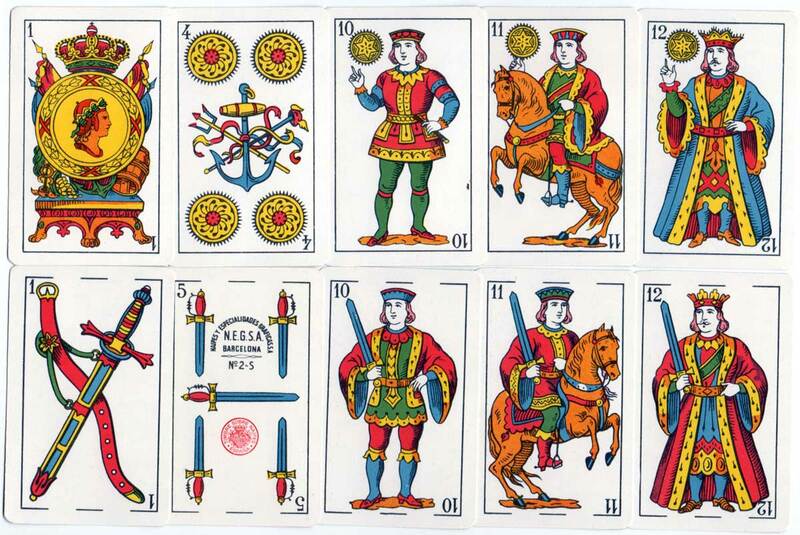 José Samsó y Cía was acquired by Naipes Comas in 1895 and the former company’s brand names were continued. In this example printed by N.E.G.S.A. 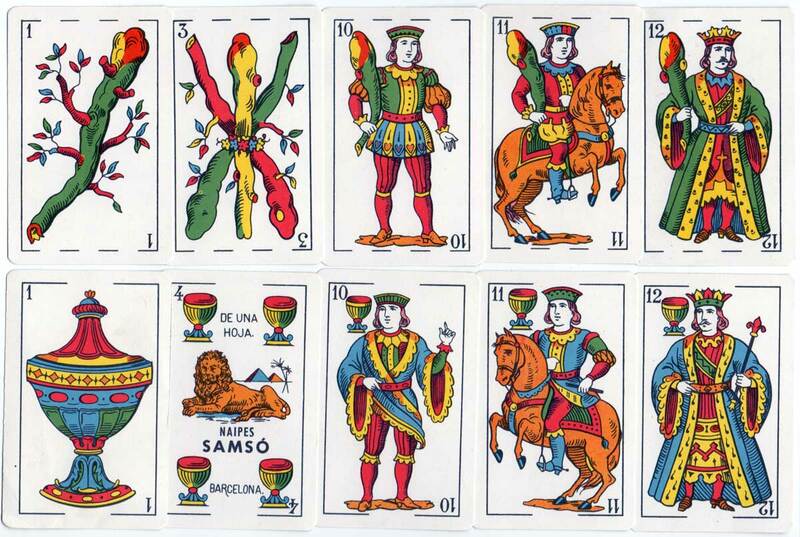 in c.1965 the brand name is “El León” but the artwork, although similar to the original designs, has been replaced with Comas’ own version of the standard Catalan pattern which had been in use since around 1900. The two lower court figures stand on small patches of ground; only the kings wear moustaches and there are no beards. 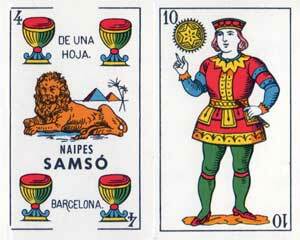 The four of cups has the lion motif. Above: Naipes Samsó published by N.E.G.S.A. (Barcelona) c.1965. 40 cards.